HFS Cricket Team got their second victory against GBSS Anglo Oriental and have qualified to the Quarter Finals in All Pakistan Abdul Hafeez Kardar Cricket Tournament organized by PAKISTAN CRICKET BOARD. Our boys managed to put up 197 runs on the board in a 30 overs match. Abdul Baqi smashed quick 97 runs. Abdul Hai 24. Others contributed well too. In Reply, GBSS were bowled out for 145 runs in 19 overs. Zubair was amazing with the ball, grabbed 4 wickets. Captain Moiz and Yousuf took 3 wickets respectively. 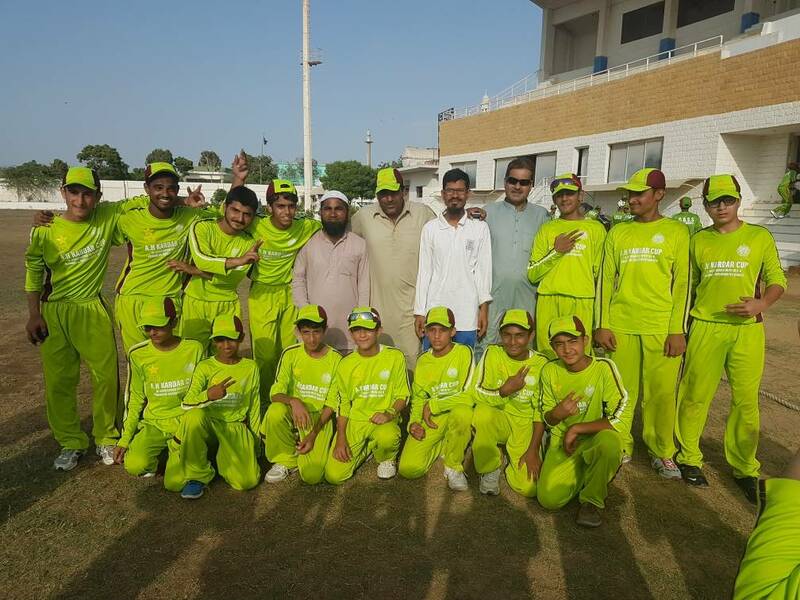 Congratulations to the Cricket Coach Maqbool Ahmed for his efforts! Best Of Luck Boys for the remaining tournament matches.